It's that time again. Children across the Nation are back in school and preparing to embark on a productive school year. Each year, the need to perform at greater academics standards is paramount. Schools are required to meet targets set forth by their respective jurisdictions and No Child Left Behind (NCLB). To be your child's greatest supporter, a few tips are outlined below. 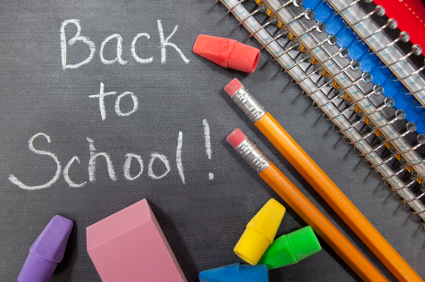 These tips will ensure a smooth transition into the new year and support academic gains. Ensure that your child has all of his or her school supplies. Always buy the basics: pencils, red pens, composition notebooks, paper, crayons or colored pencils, calculator, and a notebook for organization. Though some of these will vary per level and districts, ensuring that your child is always stocked with the basics is a great step towards academic success. Become an active parent. Being an active parents means responding and being available to the needs of the classroom or school. Parental involvement may be outlined by your school's PTA or school council but there are needs per individual classroom as well. By showing your child that you have an invested interest in their education, increases their interest in academic performance. Communicating with the school and your child's teacher is ultimately your responsibility. Always update your contact information including email. Because the duties and responsibilities of schools and teachers are ever increasing, have multiple modes of communication to ensure that you receive pertain information is important. Moreover, when speaking with school personnel, maintain a professional demeanor and tone. Teachers are professionals and should be treated in the same regard as your doctor, dentist, or other professional. Disrupting the lines of communication is detrimental to academic processes. Identify and understand what is being taught and the overall expectations. Every state has a Department of Education, district site, and most schools have websites. Become familiar with the general curricula so that you can provide supporting activities for your child. Academics are more than a 6.5 hour day. Expose them to culture and age appropriate artifacts within your city. Last but not least, maintain a healthy lifestyle. Ensure that your child has an annual physical, has access to healthy foods, support physical activities, proper rest, and most importantly mental/emotional health. I am wishing all of you a productive school year. For individual and specific support, please contact me dr.reginia@gmail.com. Yes, yes, yes! Providing for my childrens emitional and physical health is paramount and communication really is key....my kids flourish when they see my investment I. Their education, and teachers appreciate a respectful, professional relationship with engaged parents! Great post as usual! You have a great list for parents. I really believe in communication and parental involvement. My son is in preschool so I have a long journey ahead with school involvement. I hope that I remember tips like these as I go along the way. i agree with all of this! parent involvement and communication are on the top of my list! health is wealth, amen to that! i cannot over state the importance of communication between the home and school. this is a great list, i hope many parents get to read this post! I believe the foundation of success is education. Every person should have the fundamental knowledge that is afforded free of charge. Some great tips here, especially the "health is wealth"...I had a kid who was sick so often last year, he almost failed math. Health is wealth! I love the variety in your blog Regina, I've been scrolling through it, and love your design, and your blog header is so eye catching.